As e-commerce continues to grow, so, too, does the range of services designed to tackle returns, one of the biggest headaches that comes with online retail. 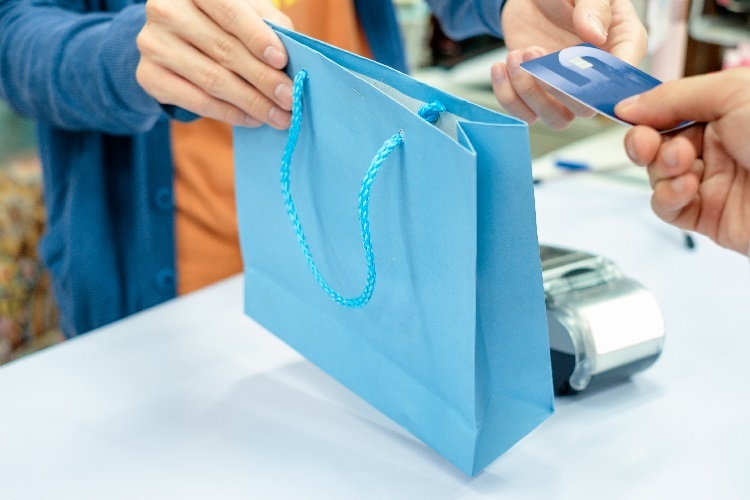 American consumers returned approximately $351 billion of merchandise bought offline and online last year, according to the National Retail Federation. 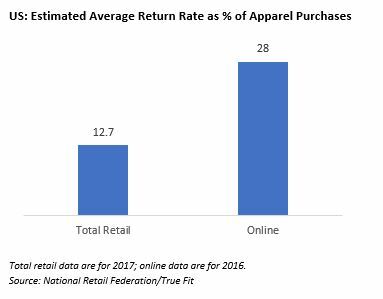 That is equivalent to around 10% of all retail sales, but return rates tend to be considerably higher in online retail and especially in online apparel retail. Last month, we discussed in this note how some brick-and-mortar retailers are tightening return policies to reduce abuse. This week, we review several of the emerging tech-driven services that can help online retailers reduce or process returns. At the Shoptalk 2018 conference this week, consulting firm Newmine launched its Chief Returns Officer product. Newmine says that it processes data from multiple sources and uses “data science and AI principles” to determine the cause of returns in near real time. Retailers using the service receive actionable recommendations for resolving problems during the selling season. Supply.ai’s ReturnSense is a returns prevention platform that learns customer behavior, detects the likelihood of returns, alerts the retailer and intervenes in the purchase process to mediate with customers about their product choices. The firm says its algorithm draws from over 1,000 data variables to predict which orders are likely to be returned. The company says that its service prevents returns and makes shoppers feel more confident in their purchase choices. Other technology providers include Returnly, a fintech platform that turns product returns into repurchases by enabling customers to buy again with instant exchanges and refunds, before they have even returned their items. Appriss Retail’s Verify service is a consumer-based returns authorization system that uses predictive algorithms and statistical models to distinguish those engaged in fraudulent and abusive behavior and deny them the ability to make returns. The company says it is the most widely used returns optimization tool in retail. In the physical world, Happy Returns provides centralized, in-person return points for online retailers. The California-based startup sets up Return Bars inside shopping malls and stores to accept returned items on behalf of online retailers and give the customers making the returns an immediate refund. Supply.ai states that it costs retailers an average of $28 to process each returned item. But returns from international customers can be especially costly for retailers if they are the ones paying for postage—for some international orders, the cost of free shipping and free return can be greater than the cost of the product ordered. Service providers such as ZigZag Global offer cost-effective ways to consolidate, process or liquidate international returns. ZigZag Global says it can open and inspect goods on behalf of retailers, consolidate returns into larger shipments to make logistics more cost effective, and list returned stock that retailers do not want shipped back on marketplace websites in a number of countries. In addition to these specialized services, artificial intelligence–based services from firms such as Celect and Blue Yonder can indirectly reduce return rates by optimizing inventory so that it gets into shoppers’ hands more quickly—before shoppers change their mind or decide they no longer need the product they ordered. Other indirect ways of limiting returns include providing shoppers with presale apparel fitting services such as True Fit, which helps shoppers pick the right size when buying fashion online. As e-commerce grows apace and multichannel retailers face competition from pure plays that typically offer generous return policies, we expect to see more retailers invest in services that can reduce, process or streamline product returns.